The Ultimate Weapon from DeMarini is an all association model that has all it takes to ensure that a slowpitch player not only performs well but also enjoys the game. It is a one-piece bat with a full alloy construction that uses ZnX Alloy design to ensure you get dependable performance. This bat has an RCK Knob for a comfortable grip and a Big D End Cap that will contribute to ensuring that all the power goes to the massive sweet spot. RCK Knob: The RCK knob is one of the best things that can ever happen to a bat because it fits on the bottom part of the hand to ensure that you have a comfortable grip even when swinging for a long time. Barrel: This bat has a 13-inch barrel with a diameter of 2 ¼ inches meaning that it is standard size and suitable for all players. It also has an enormous sweet spot which is also something that most slowpitch players will love about this bat. Big D End Cap: The end cap increases the end-load of the bat and also helps to ensure that most of the power goes to the sweet spot for powerful and long distanced hits. Design: It is a one-piece bat that has a full alloy construction to ensure maximum performance and durability. One-piece design also means that you will not have to worry about sting and vibrations. Association Approval: Ultimate Weapon is an all association model, and it comes with approval stamps from ISA, USSSA, NSA and ASA meaning that you can use it in any professional league in the USA. ZnX Alloy: ZnX Alloy is one of the things that set DeMarini bats apart from the rest because it adds some durability to the single wall design of the barrel to ensure that players get dependable performance. The sweet spot is big and easy to find. This bat has a lot of power. Ultimate weapon feels light and is very easy to swing. The graphics on the bat are top notch. It feels very comfortable on the hand. You will hardly find a bat that is better than it at the same price. The Ultimate Weapon also has great pop. Bears approvals stamps from all the leading associations. The grip is not very good, and so you will need some lizard skin. Not very suitable for use in temperatures below 70 degrees. It will only serve you for a couple of seasons. 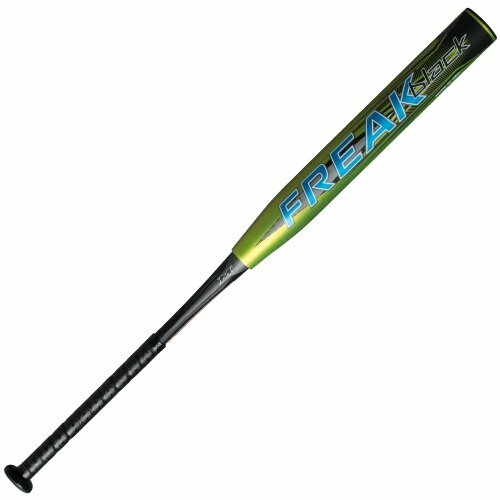 This bat will require a lengthy breaking in before you can enjoy using it. You cannot share with the team as this will reduce its longevity. If you are looking for a slowpitch bat that will always deliver and you do not want to spend a lot of cash to get one, then you should go for the Ultimate weapon from DeMarini. The brand alone should be enough to convince you that the bat will serve you well because DeMarini is an industry leader. However, slowpitch players that have been swinging this bat have lots of praises for it because it has improved their performance and that of their team significantly. Although it requires some breaking in and you may have to change the grip the advantages that you get from using it outweigh the few issues by far. 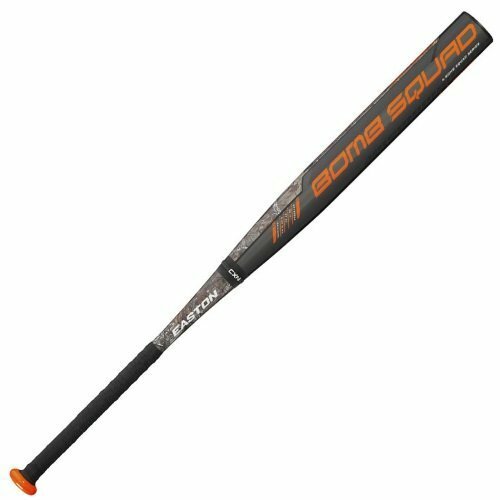 And so any slowpitch player regardless of whether they are beginners or pros should go for the Ultimate Weapon as it will help take their game a notch higher.